Over 850,000 people –10 % of Israel’s Jewish population; crowded Jerusalem streets for the funeral of Rabbi Ovadia Yosef. Unprecedented mobs forced the closure of the entrance to Jerusalem from the main highway and resulted in more than 200 injuries. Rabbi Ovadia Yosef, was the powerful, much-loved and controversial spiritual leader of Israel’s Sephardi community. He passed away at 93 yrs. in Jerusalem early Monday afternoon after being hospitalized. 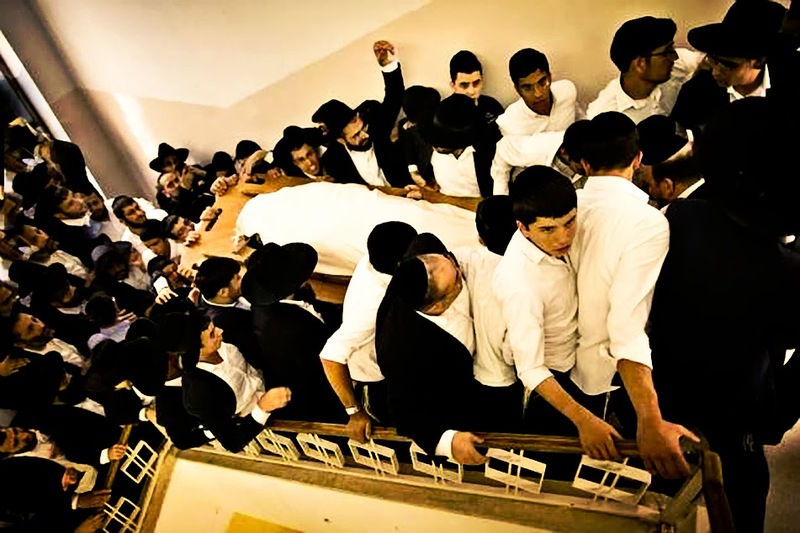 Ovadia was laid to rest the same night according to Hebrew law, in the Jerusalem neighborhood of Sanhedria, His funeral was declared the largest funeral in Israeli history. Rav Ovadia Yosef was much loved. Rabbi Reuven Elbaz, a follower of Yosef said: "Rabbi Ovadia was the father of Israel ... he gave his heart and his soul for the people of Israel ... there has never been as rabbi as great as him." 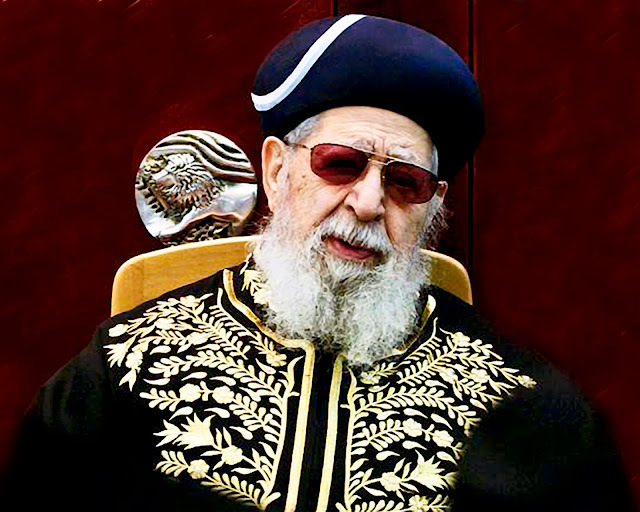 “Rav Ovadia Yosef was a spiritual leader to hundreds of thousands, if not more, a great learner [of Torah] and a wise and learned man, a father to an impressive family and an important contributor to the society and politics of the state of Israel,” US Ambassador to Israel Dan Shapiro says in a statement released in Hebrew. · Yosef was born in Baghdad. · His family moved to Jerusalem when he was four and he was ordained as a rabbi by the age of 20. · In 1947, a year before Israel's founding, Yosef went to Cairo, where he headed its rabbinical court and became Egypt's deputy chief rabbi. · In 1950, Yosef returned to Jerusalem, to serve as a judge in religious courts that deal with family/domestic matters and divorce. · He served as Israel's chief Sephardic rabbi from 1973 to 1983, a post now held by his son Yitzhak. · Yosef had been in failing health in recent months. 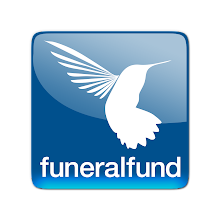 · Yosef, a widower, is survived by 10 of his 11 children and several dozen grandchildren and great-grandchildren. · Four rabbis have been mentioned as possible successors, but with Shas outside Netanyahu's government, their political influence is likely to be limited. The Jerusalem municipality deployed an unprecedented number of police officers, border police, traffic police and volunteers to oversee security at Rabbi Ovadia Yosef’s funeral. They feared that the crowds would get out of control. 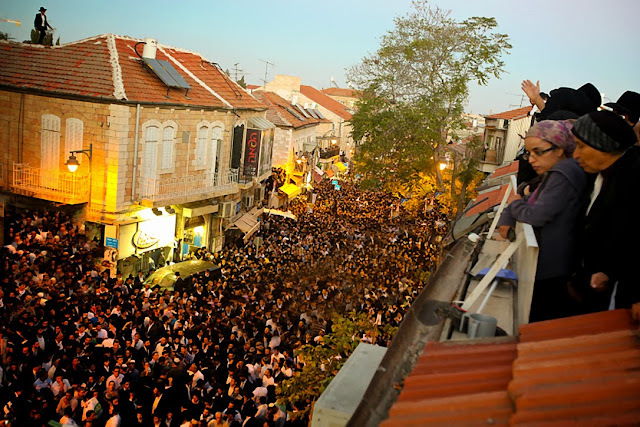 The funeral began at 6 p.m. at the Porat Yosef Yeshiva in the Geula neighborhood and after, the mourners started the long walk to the Sanhedria cemetery. The streets around the cemetery were closed to all vehicles and the police informed the public not to arrive in private vehicles. The city also opened a special hotline for mourners and others who needed travel information. Israel's ambulance service said its crews were busy treating people who fainted in synagogues and at Jerusalem's Western Wall, a Jewish holy site, after learning of Yosef's death. His death affected over a million devout followers. Police were very concerned that many of the neighborhood buildings would collapse due to the large crowds expected to attend the funeral. Hundreds of thousands of people arrived before police could control the mass gathering. Many stormed the rooftops to catch a glimpse of the casket which was carried through the streets. The largest funeral in Israeli history. The vast influence that Rav Ovadia Yosef had over Israel was immeasurable. Over 850,000 people attended his funeral and many more crowded on rooftops. It was estimated that over a million people came out to show their respects to their leader. This was the largest funeral in Israeli history.